Buddha Head Statue Trapped In Roots Of Bodhi Tree At Wat Mahathat,.. Stock Photo, Picture And Royalty Free Image. Image 105393251. 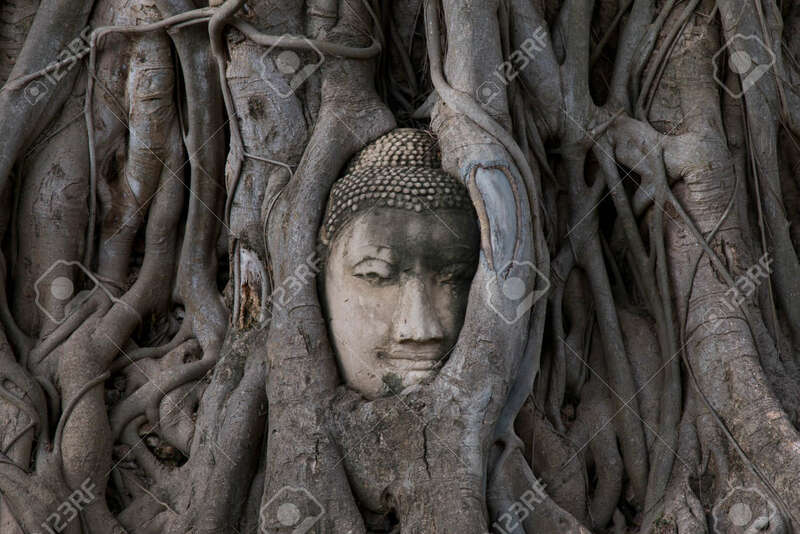 Stock Photo - Buddha Head statue trapped in roots of Bodhi Tree at Wat Mahathat, Ayutthaya historical park, Thailand. Buddha Head statue trapped in roots of Bodhi Tree at Wat Mahathat, Ayutthaya historical park, Thailand.